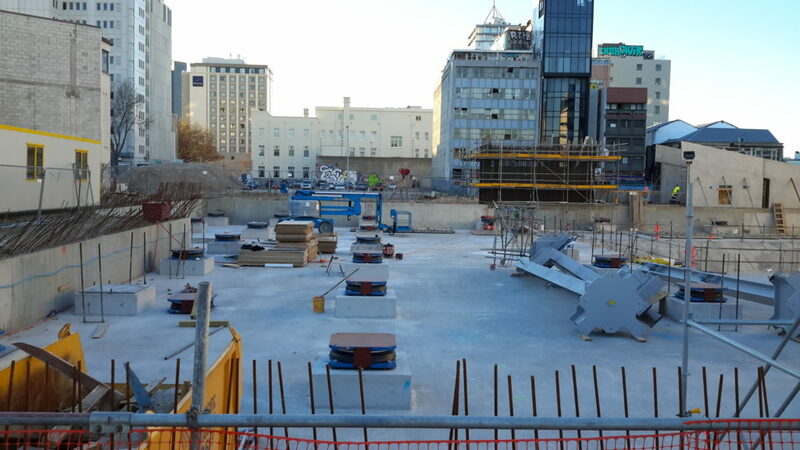 The Grand Central development is an IL2 Commercial Building in Christchurch where RCP have provided full project management services from project feasibility through design, procurement, contract administration, programme, fitout and construction management. 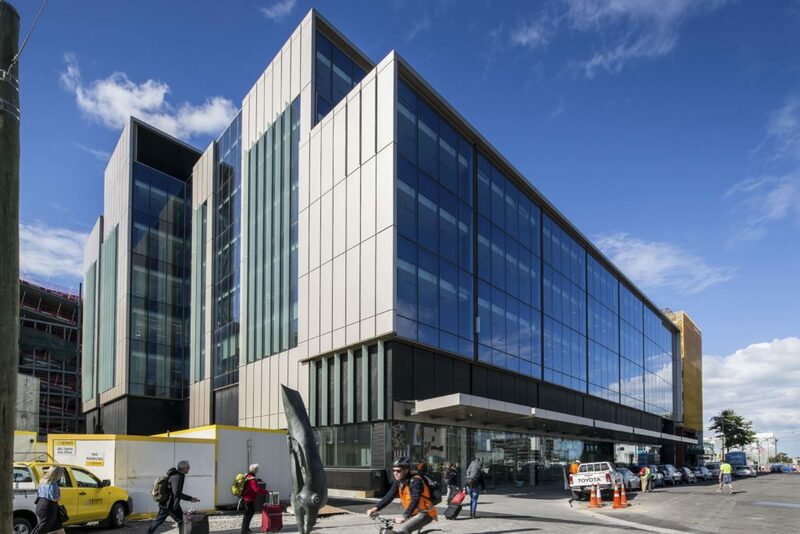 Grand Central is home to Immigration New Zealand, part of the Ministry of Business, Innovation and Employment (MBIE), the Ministry of Social Development and Department of Conservation, who are also joined by private office tenants, fashion stores, and a cafe. 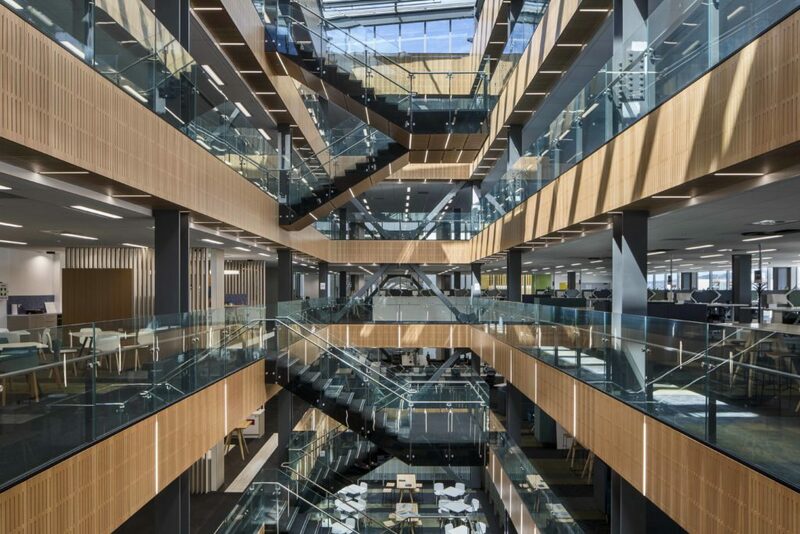 The overarching design ambition achieves a modern and contemporary working environment with high degrees of flexibility and connectivity, with large floor plates offering opportunities for collaboration, spatial efficiency and productivity gains. 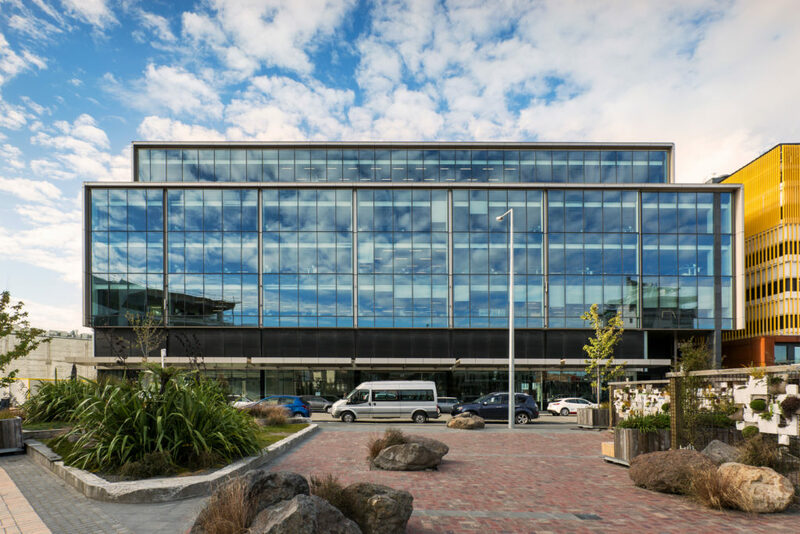 Located on the former site of the Grand Chancellor Hotel in Christchurch, comprising of almost 3,000sqm, it has now reopened as a seven story development including retail, food and beverage, car-parking and premium office accommodation. 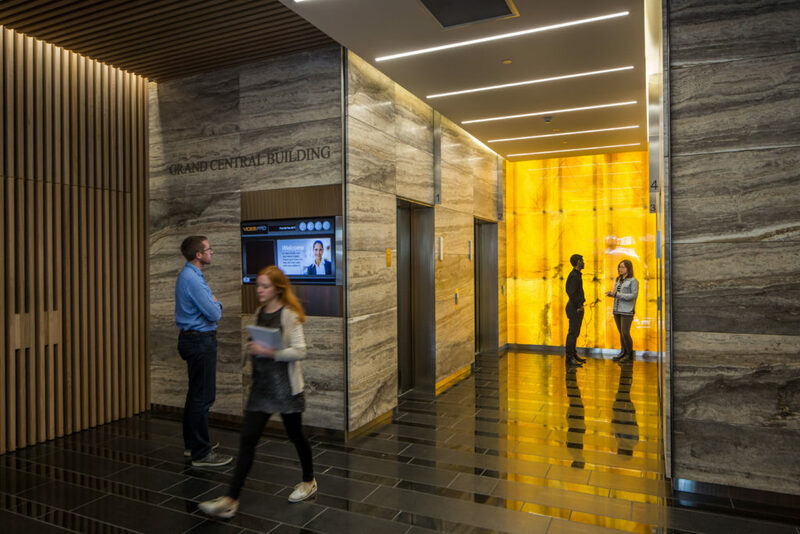 An innovative approach to seismic design using resilient and more reliable technology to provide for the safety of occupants and protect the building. The base isolation system provides a high tolerance to shaking forces with 61 triple pendulum friction bearings. The base isolators were designed, tested and manufactured by Earthquake Protection Systems in San Francisco. This allows the building to move up to 660mm in a large earthquake to dissipate seismic energy. 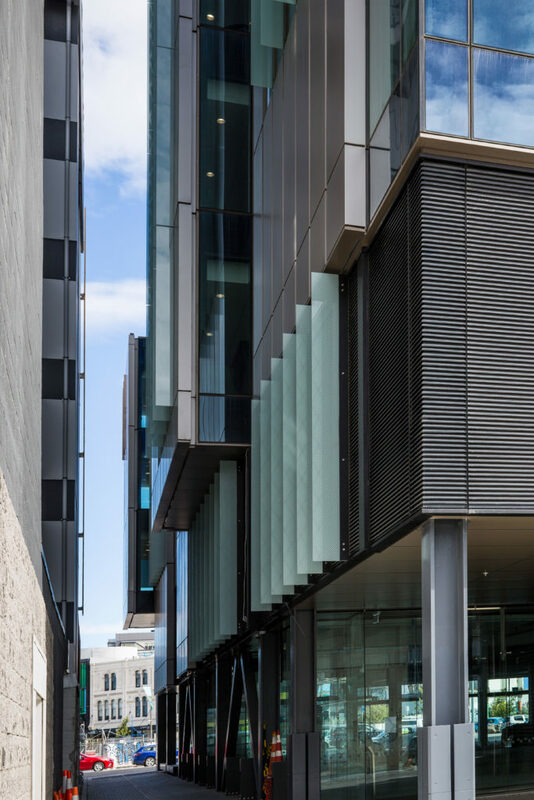 RCP’s design and programme management in particular has provided for a fully integrated base build and fit out design between the developer and anchor tenant with carefully managed overlapping design, procurement and construction phases while ensuring that momentum and programme was maintained on site.